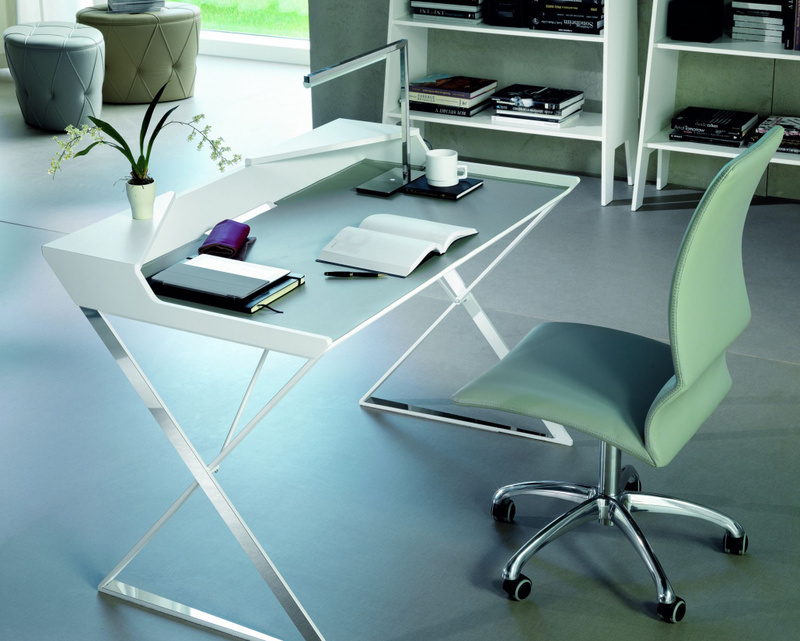 Superbly minimalistic home-office desk designed by Andrea Lucatello and displaying all the style and sophistication expected from Cattelan Italia. 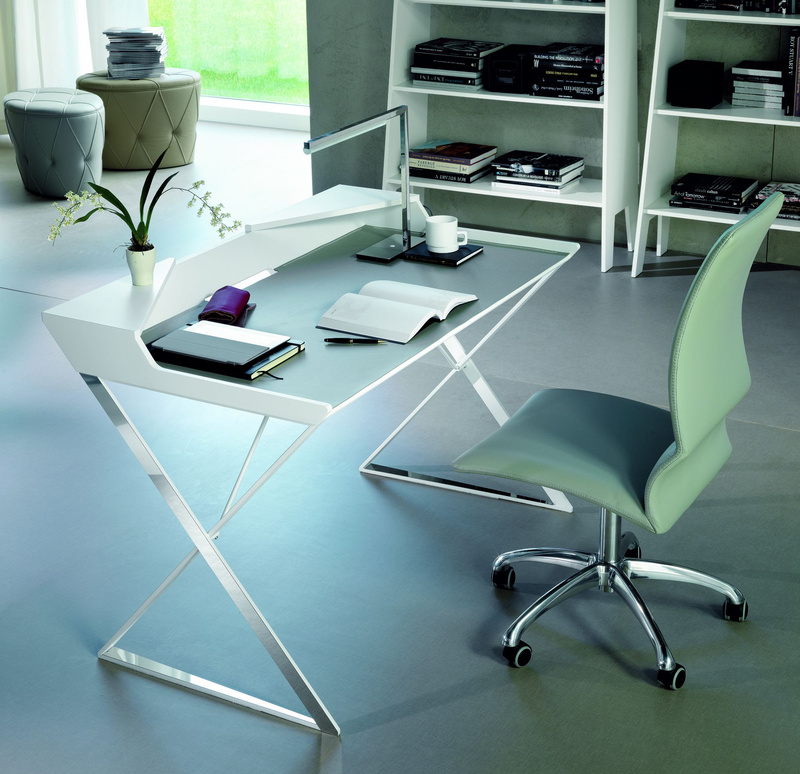 The angled criss-cross frame is offered in matt white or matt graphite with a stainless steel profile. 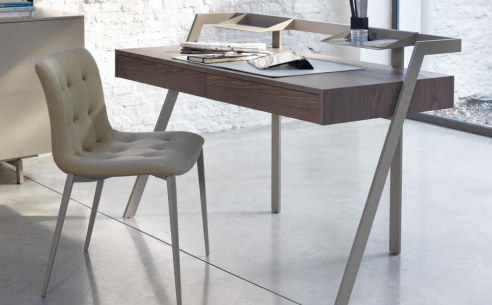 An optional leather writing pad is available in a choice of top grain Italian leather while the desk top is offered in matt white or graphite painted MDF.